Fresh, delicious food and a warm welcome! PMS DeliGratitude without an attitude. At PMS Deli, we strive to provide the very best for our guests. For us, that means an unwavering commitment to freshness and quality. You'll find it in our hand-tossed made-to-order salads. You'll taste it in our breads fresh from the oven. You'll see it in the swirl of creamy icing on our famous cupcakes and you'll savor it in our Boar’s Head meats and cheeses. But there's more to PMS Deli than great food! You'll feel it the moment you walk in the door. It's a place to share laughter, conversation and friendship, over a warm panini, a healthy salad or a fresh-baked cookie. It's a place to grab a quick bite or to enjoy a leisurely lunch. Most of all, it's a place where you can relax and feel at home. 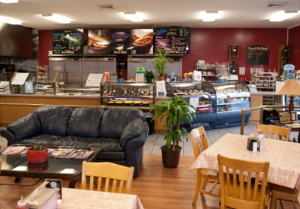 We're your neighborhood gathering spot, where you can always count on fresh, delicious food and a warm welcome. Featured Dishes A few of our favorites! PMS CroissantThe best way to start your morning. 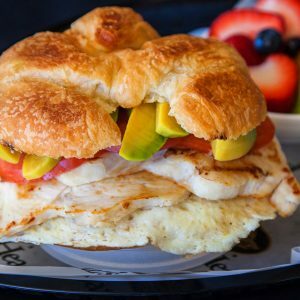 Grilled chicken, egg whites, tomato, and sliced avocado join together between a buttery croissant. 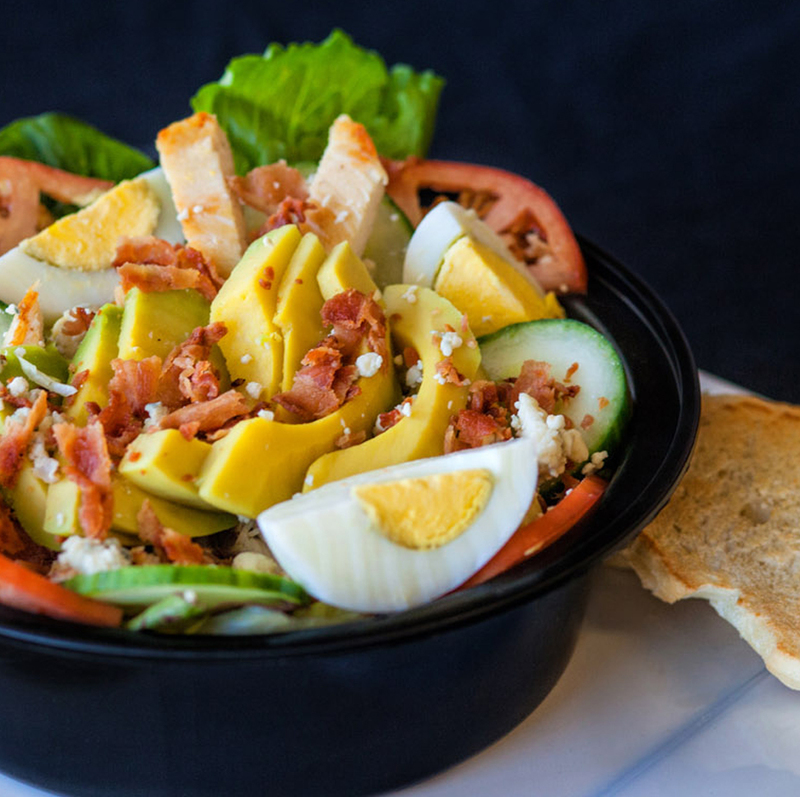 Cobb SaladCreamy avocado and crispy bacon are a match made in heaven. 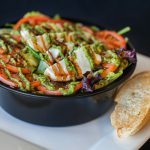 Fresh mixed greens paired with tomato, cucumbers, grilled chicken strips, eggs, bacon and avocado slices, topped with bleu cheese. Chief's ClubChief's - not Chef's - this sub is fit for the toughest CPO. 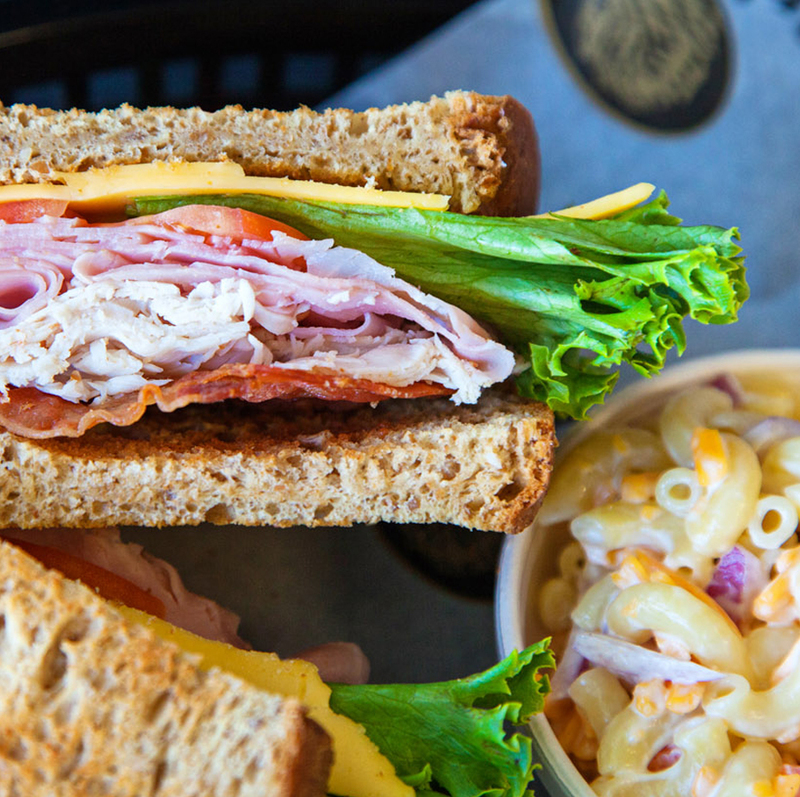 Turkey, ham, bacon, American cheese, lettuce, tomato and mayo, served on your choice of bread. Add a little avocado, if you'd like. 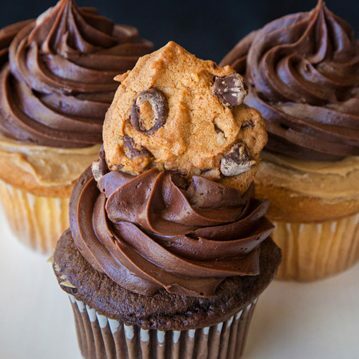 Homemade CupcakesYour sweet tooth will thank us. Stop in today to try one of our homemade cupcakes. The variety changes daily, but each and every one will leave you wanting more. Some of our favorites are: Black Forest, Blueberry Pancake, Peanut Butter & Jelly, Margarita, Caramel Apple Spice, Triple Chocolate, & Cinnamon Bun. Our Favorites From breakfast to dessert, we've got you covered. Add our delicious mini tarts to your next catering order - they'll satisfy everyone's sweet tooth! **Two dozen minimum order required. Our homemade cupcake variety changes daily, so make sure to stop in and see what we've got whipped up for you today! Special orders can be placed 48 hours in advance. Your food tastes delicious and the service is great! I appreciate that you are always on time, if not early, and your setup looks so nice! PMS Deli and Catering is one of my absolute favorite places to eat lunch. I usually go there once a week. The owner is real sweet and actually cares about his customers. He always recognizes me and calls me by name which I think makes the enjoyment of eating there that much special to me. He has also teased about having a sandwich named after me because of the unique way that I custom order it! I love eating there! I think PMS Deli is top notch; service, food and all!! Love the sandwich labeling, my team loves the Asian slaw and requests it, and the cupcakes are the BEST!! It is with pleasure that I give a positive review for the best deli in the 757. I have been eating lunch and using PMS for catering for several years now and have never been disappointed. I try to eat something different each time I stop by, and always ask Barry what he recommends. He has never failed me. The food is GREAT and the entire staff (especially Amy) are great. They are very welcoming and know how to make those sandwiches perfectly! Each and every time I use PMS Deli for my catering needs, it is wonderful. From start to finish, the process is seamless. I really appreciate the great care given to each order and will continue to use. What can I say about Barry? He’s fantastic! He is polite and has attentive customer service. He fills delivery orders for us even though we’re in Town center. He recommends items for us to try, and he always follows up after an order has been received. Plus the deli bucks are a treat to my family. Good food and good service keeps us coming back! We love PMS Deli! Food is always great! Staff are always pleasant and accommodating. 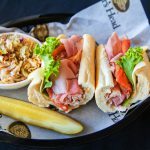 PMS Deli is our first choice to meet our catering needs.